I’ve had the pleasure of meeting many new people since blogging and Khristine Holterman of Revuu is one of these great people! Khristine’s website Revuu empowers consumers of high end home products & appliances to access reviews of these products from other home owners, designers and contractors in order to make informed decisions about products they will likely use every day. We all value the power of reviews for everything else we do from travel, professional services, and restaurants, and now Revuu.com is empowering consumers to access valuable reviews of items that are not available at big box stores. These are just the specialty products that require a great deal of research and knowledge during the purchasing process. During my interview with Khristine, she shares valuable tips for selecting and purchasing big ticket appliances, along with a look inside of her well-designed home. P.S. 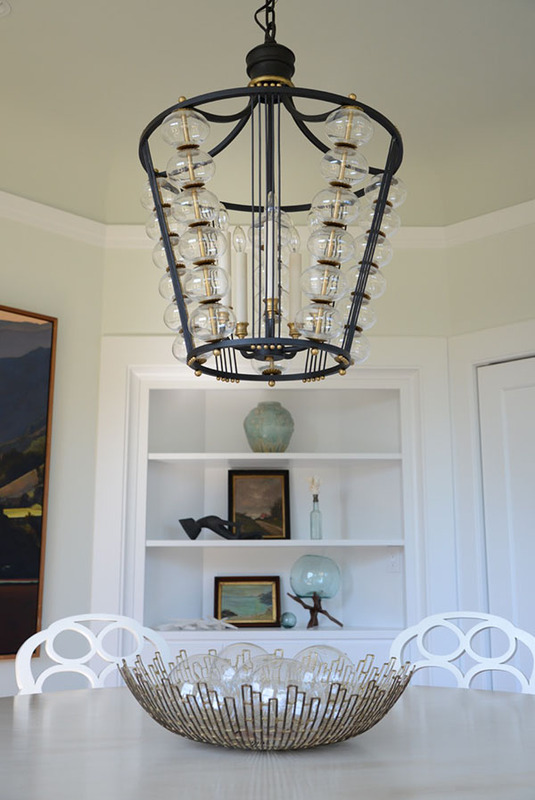 My favorite thing about this home tour is Khristine’s fabulous lighting selections! Take a look! Jacquin: What inspired you to establish your website and blog Revuu.com? Khristine: Revuu was inspired by my experience renovating my homes. With our last remodel we had to renovate a century-old home- replacing all the windows, doors, plumbing and electrical and then finally decorate. When I started researching windows and doors in particular, I noticed there was no comprehensive site that provided reviews of any of these big ticket products. I literally scoured the internet for days trying to determine if the windows my contractor wanted to use were in fact high quality and durable enough to withstand another century of use- but, to no avail. Finding no resources for window and hardware reviews, I decided to build the website- after we completed the remodel! 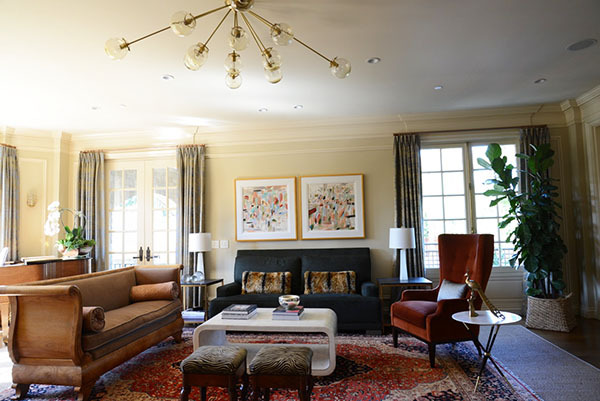 Khristine: My style is definitely eclectic or transitional- I love mixing antiques with modern pieces- especially the juxtaposition of modern art with antique furnishings. I love to pick up special pieces when we travel and I adore books! When I see what I love, I know it, which makes it easy for me to make decisions, but it also means I tend to take my time finding what works. I have been an avid follower of all things design, architecture and art for as long as I remember. Khristine: My favorite space is the library, which was the first room I attempted to design on my own. I found a Kelly Wearstler fabric (see below) and designed the room around it. While the room is paneled in a darker wood, it is brightened by a huge window. 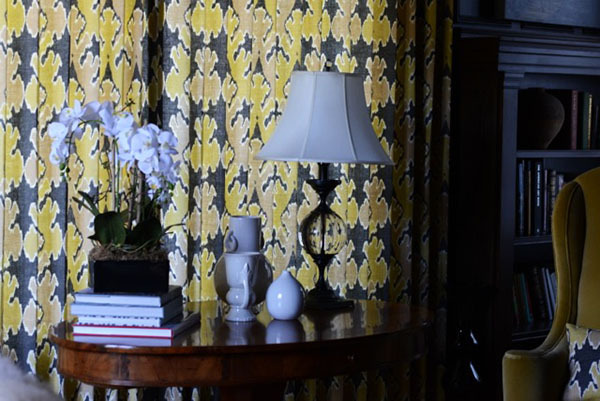 The yellow in the curtains and chairs makes a great contrast between light and dark. 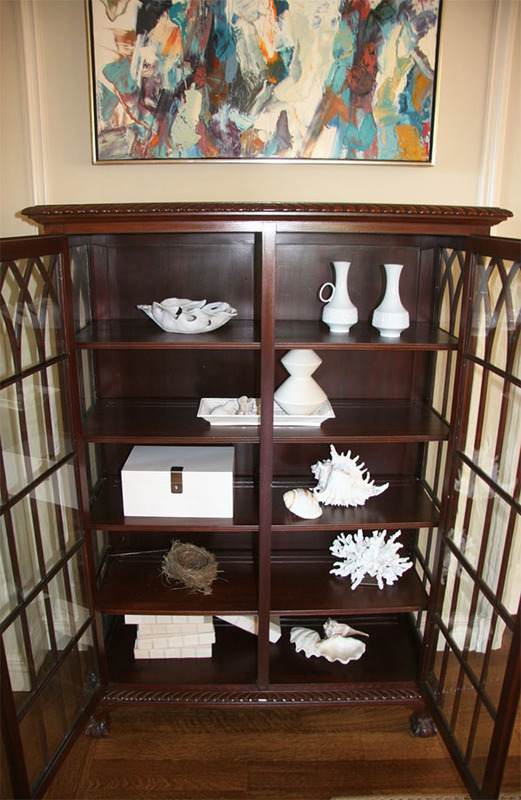 Jacquin: How was your experience decorating your home? Did you learn anything new? Khristine: I learned long ago that this process is slow and requires enormous patience. Fortunately I’ve had help from interior designers, lighting designers and art professionals who have exposed me to great style and products. With our current home I have enjoyed managing the process and making most of the post-renovation design decisions on my own. I’ve learned that measuring, remeasuring and then measuring again is key! With an old home we have some door openings that are much smaller than typical- I had a few pieces delivered that we could not get through the hallway door! 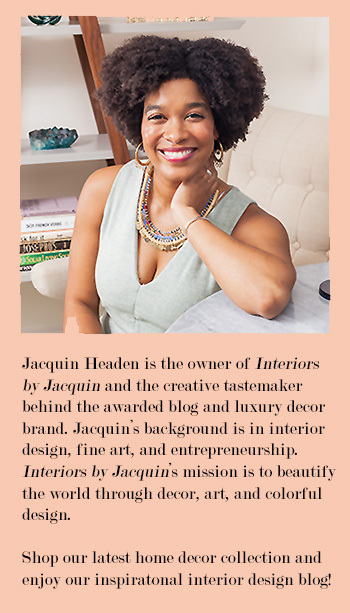 Jacquin: You’ve really made excellent decisions designing your home and it shows in your lovely home tour. For readers embarking on a home renovation, which appliances do you recommend consumers put the most research into? Khristine: It is a toss up between a built in refrigerator and your range. Both are the workhorses of the kitchen and both are important in everyday use. Additionally, both can be extremely expensive! Even if you don’t enjoy cooking, you do want to have a quality range in your home for resale value. Of course the refrigerator is something even a non-cook uses every day. Built-in units can be finicky and require quite a bit of maintenance so definitely know what you are getting into before you purchase. Jacquin: Lastly, my most important question! Any advice on selecting appliances for one’s home that you’d like to share with the readers? Khristine: Obviously my first advice is to check Revuu.com and if the item hasn’t yet been reviewed, then ask your friends for advice. 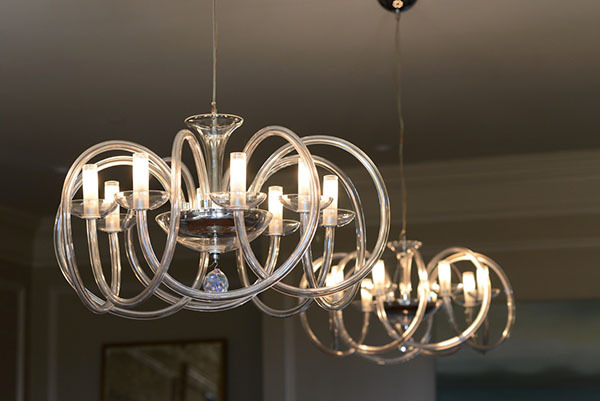 Check out their homes to see if they have the same brand and how it has held up both functionally and aesthetically. Check out showrooms to see the appliance in person- these are major purchases and you want to see, feel and test them before you make a decision. Once you’ve had experience with the product, be sure to post a Revuu on the site!